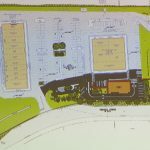 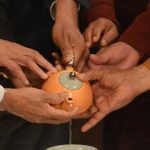 Added by Bill Bowman on April 10, 2019. 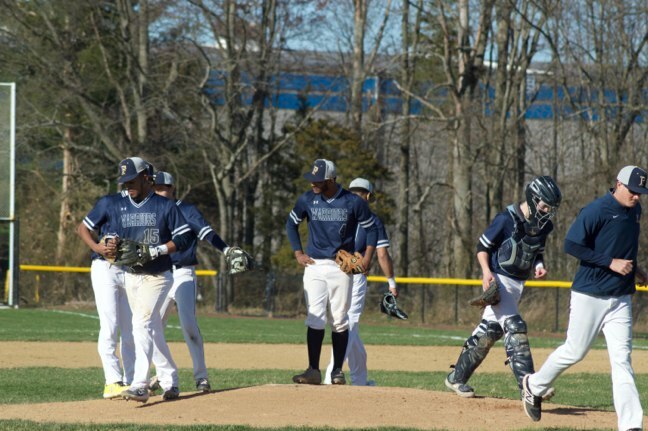 A pitching mound conference breaks up April 9 during the FHS Warriors’ baseball game against Immaculata. 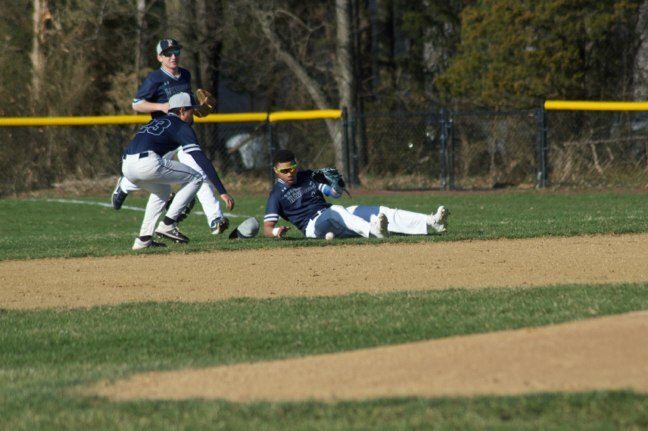 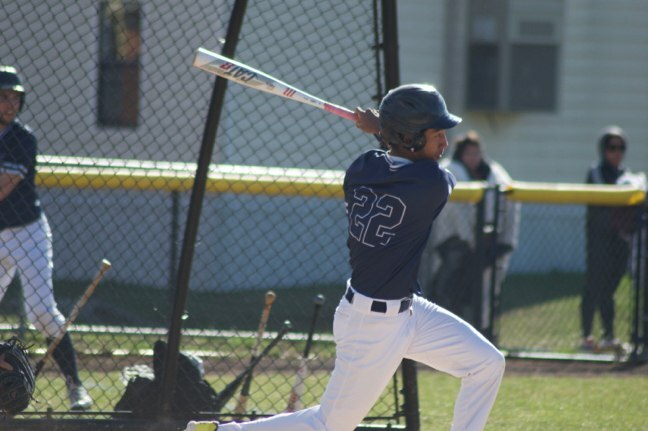 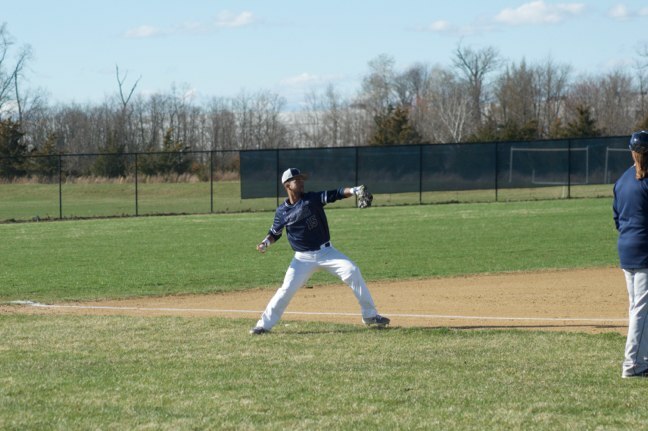 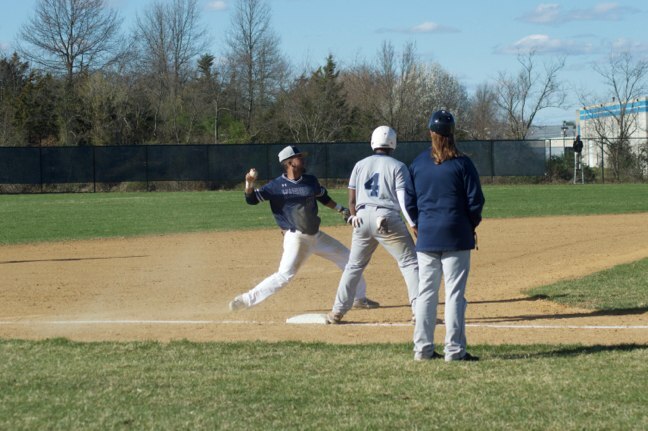 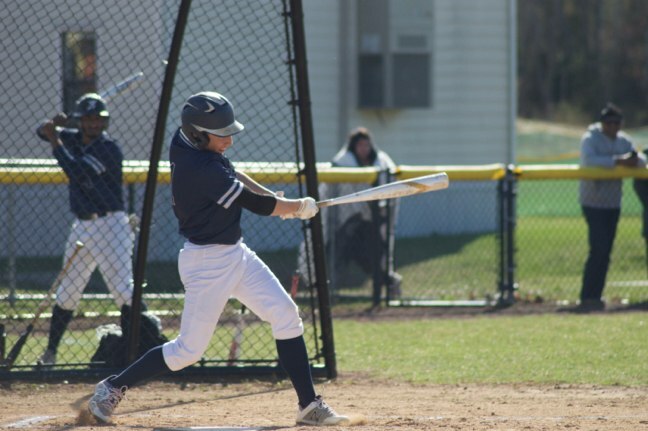 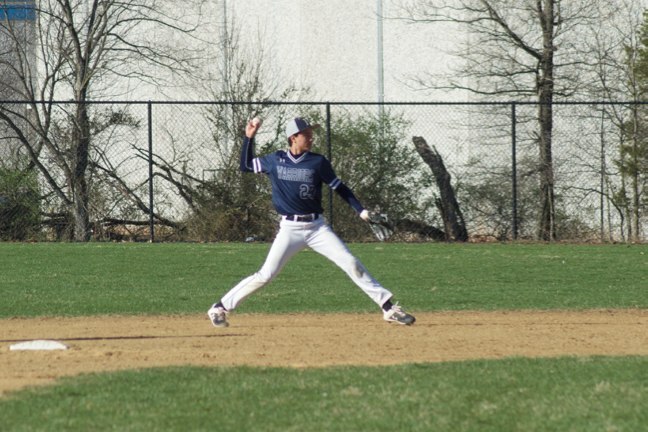 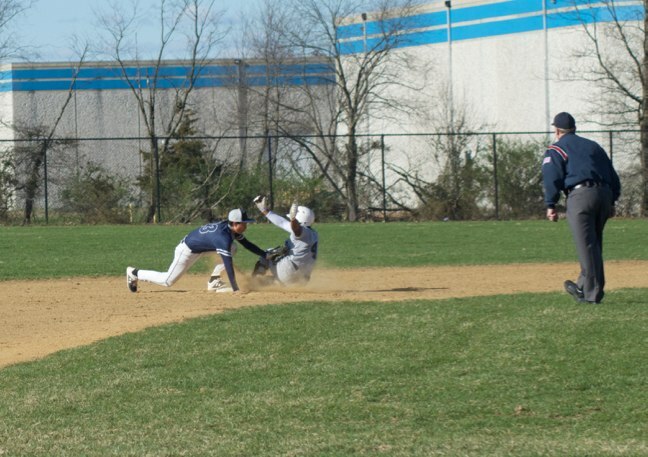 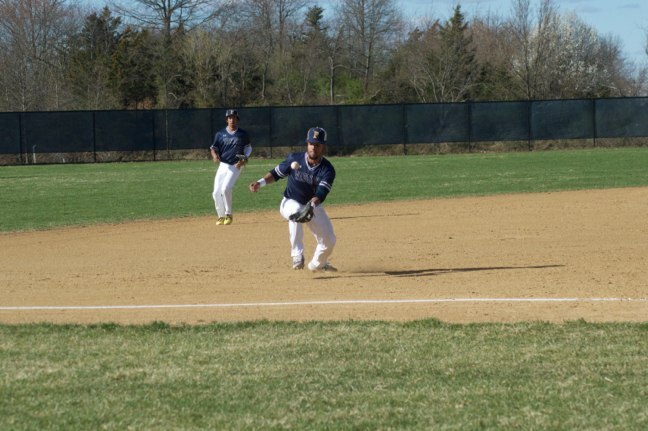 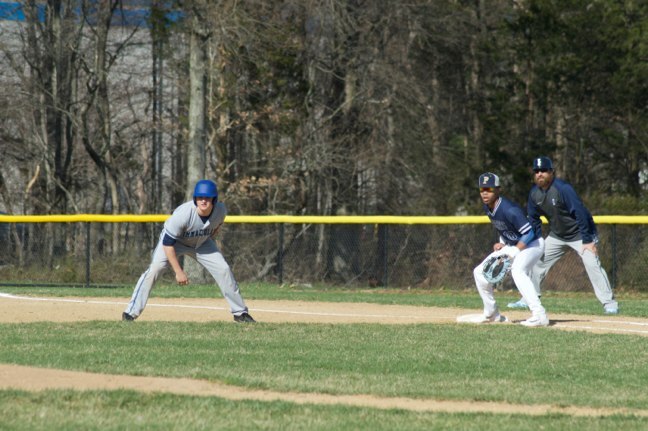 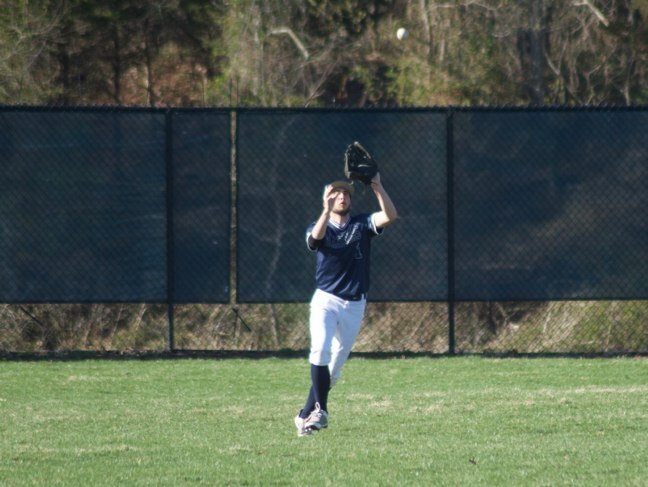 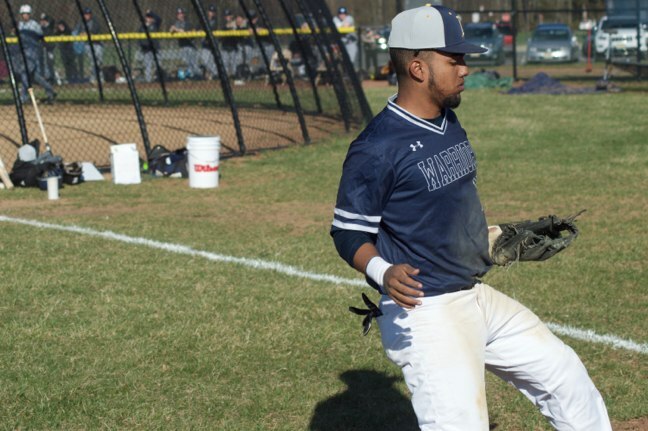 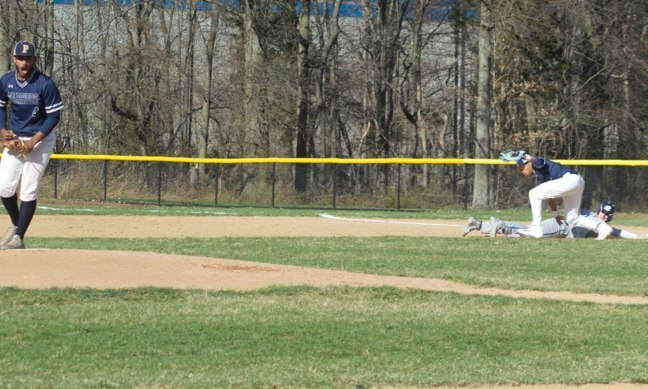 A late-inning rally fell short for the Franklin High School Warriors baseball team, as the squad fell 3-2 to Immaculata on April 9. 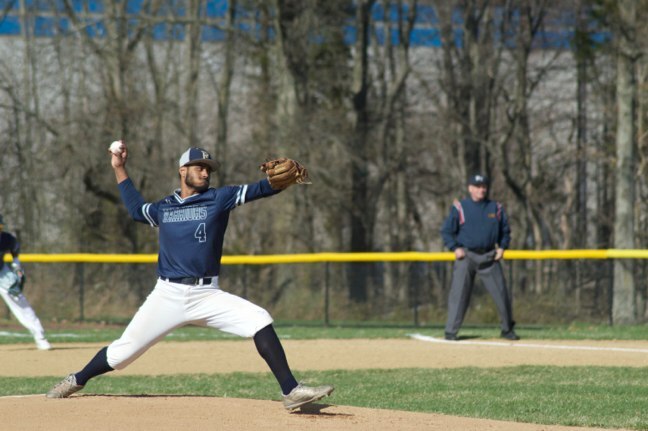 Warriors pitcher Danish Nadeem pitched well enough to win with five strikeouts, no walks and one earned run. 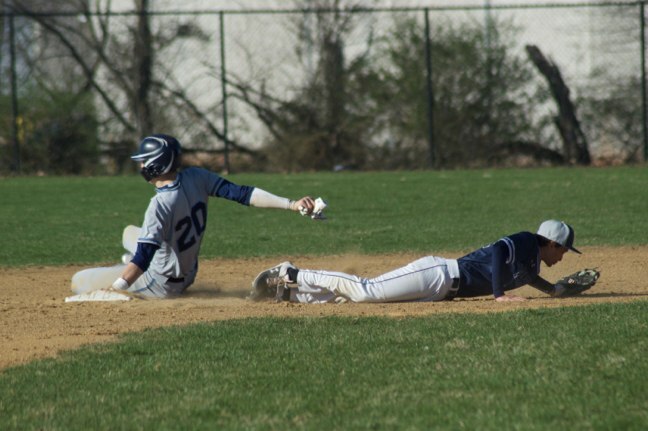 But five defensive errors led to two of Immaculata’s three runs. 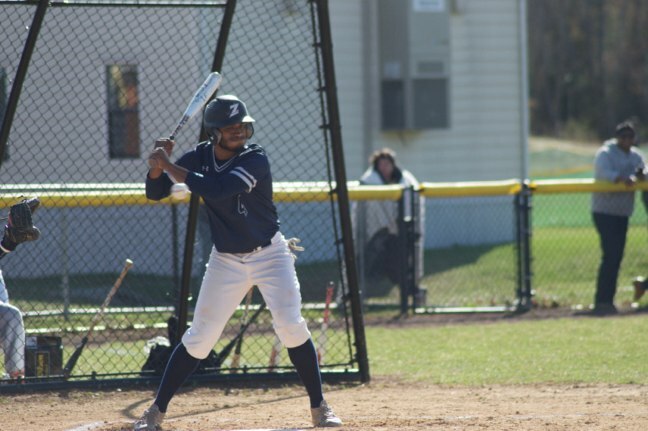 Nadeem got out of a major jam relatively unscathed in the second inning, when, after giving up one run and loading the bases with one out, he fanned one batter and picked off a runner at first. 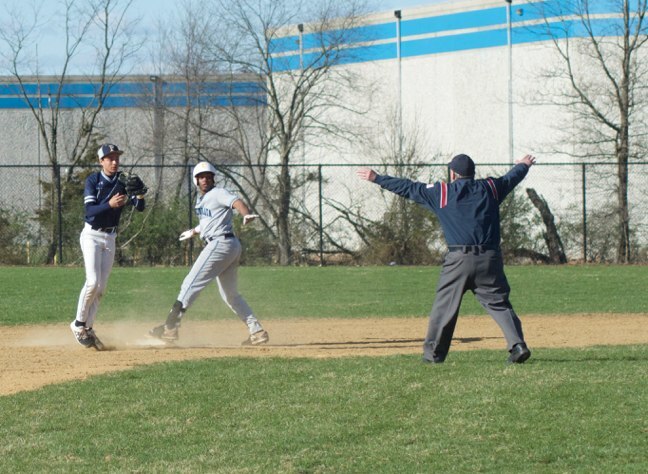 Nadeem helped his own cause by going two-for-three at the plate and knocking in an RBI. 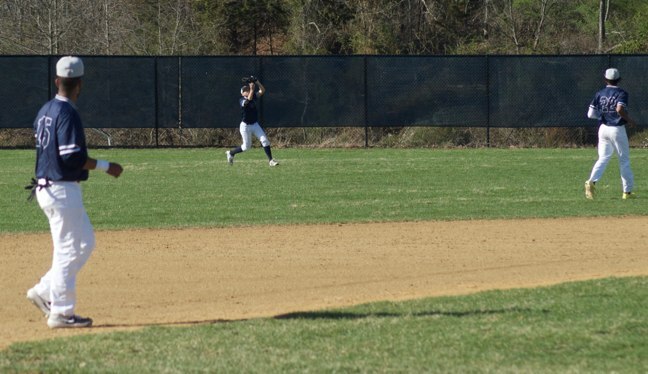 Joshua Kuroda-Grauer went one-for-four, and also had an RBI. 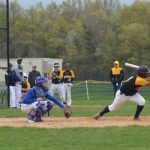 Rounding out the hitting performance for the Warriors were Jason Ferner and Gabe Perez, each of whom went one-for-three and scored a run.